This event was well received by the attendees and the people who connected via video link. The IT was all organised by Massey University who did a great job. The invited speakers produced vital and updated information on uses, specialty fats, emulsifiers and antioxidants. The presentations in pdf form and videos can be found on oils and fats website in the members section. 1. For both videos and PowerPoint’s, via the Oils and Fats Group website, if you are a member then you will have access to this site. Thanks to Chris Newey of Foodworks who does a grand job keeping the site fresh and full of information. We were most upset to receive the news of the passing of Catherine Side. Catherine passed away recently in UK after a battle with cancer. She was a charming and vivacious person who chaired and judged one of our students’ session at a seminar a few years ago. Catherine was married only recently to Professor Ray Winger so this was a devastating event for him. Most of us in NZIFST know Ray well and so our sympathies and hearts are with him. The European Commissioner for Agriculture has outlined a set of proposals to the agriculture ministers of olive oil-producing countries which aims to support the sector, which is suffering from surplus production and lowered prices. As well as implementing quality control measures such as stamping out deodorisation and moving towards a globally accepted method for identifying adulterated oils, the EC also proposed reducing the limits for both sigmastadiene and alkyl esters. He also suggested the institution of new categories for olive oil, to focus on specific qualities. What about the new Australian standard? 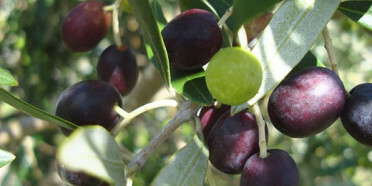 The issue of contamination was also raised at the most recent meeting of the European Commission’s Advisory Group on Olives and Derived Products. The Commission is to develop research towards detection of extraneous oils in olive oil as well as examine potential contamination with mineral oil. Production in Spain, Portugal and Greece is expected to drop in the coming season, although France should remain stable. Amazing that they still have to deal with this after many years of dodgy practices. GOED response Global Organization for EPA and DHA Omega-3s (2012). Omega-3s & CVD Events [Peer commentary on the paper “Association between omega-3 fatty acid supplementation and risk of major cardiovascular disease events: A systematic review and meta-analysis” by Rizos EC Ntzani EE Bika E Kostapanos MS and Elisaf MS (2012). JAMA 308:1024-1033.]. Results from the current systematic review and meta-analysis do not change the totality of the publicly available scientific evidence demonstrating a cardiovascular benefit of EPA and DHA in healthy populations, as well as in the majority of populations with pre-existing cardiovascular ailments. Therefore, consumers should continue to take omega-3 products for heart health. The extensive list of long-chain omega-3 recommendations from professional organizations and government bodies continues to grow because the science is so compelling. you are already giving patients a handful of other drugs that contribute to achieving that objective. It has been estimated that low n-3 polyunsaturated fatty acid intakes account for 72,000-96,000 deaths per year from CVD in the United States alone (Danaei et al., 2009). Danaei G Ding EL Mozaffarian D Taylor B Rehm J Murray CJ and Ezzati M (2009). The preventable causes of death in the United States: Comparative risk assessment of dietary, lifestyle, and metabolic risk factors. PLoS Med 6: e1000058. This was an interesting event with many traditional and some new exhibitors of oils and fats products. Uncle Joe’s hazelnut oil and walnut are tasty and well presented nut oils, lovely for drizzling on salads. Two exhibitors were presenting extra virgin coconut oil. One extremely friendly group from Samoa were enthusiastic and cooking up kumara chips in the oil and the other company from Christchurch was spinning a snake oil story about how coconut oil was the healthiest oil available and was composed of medium chain triglycerides. It most definitely is not. This reviewer was remarkably restrained in the face of this errant nonsense .A tub( illegally labelled) was purchased at some exorbitant price and was analysed. The oil proved to be refined bleached and deodorised and not extra virgin oil at all. This oil is on sale in supermarkets. An excellent new book on the topic of palm and palm kernel oil. The book is reviewed in a separate section. The whole topic of sustainable palm and the environmental issues is comprehensively reviewed. It is interesting to note that French firms are being urged to back away from “palm-free” claims. Malaysia is understandably concerned at such a movement and has had meetings with French officials and retailers to convince them that Malaysia is committed to ensuring a supply of sustainable palm products.